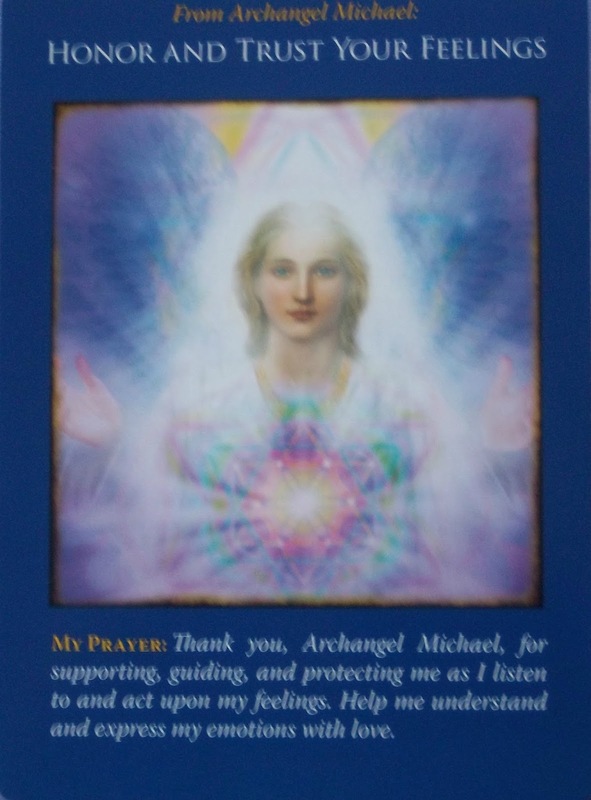 Card of the Day ~Honor and Trust Your Feelings~ Archangel Michael urges you to look inward and listen, for this card is a sign that your feelings are accurately tuned in to the truth. Some of these feelings may be uncomfortable to face, yet they’re with you for an important reason. If you’re conflicted, sit down with pen and paper and conduct an “interview” with your emotional self by asking: What are you feeling? Why? What would you like me to do? Your feelings will speak loudly and clearly if you keep an open mind and trust what you hear. Respect your inner voice as the powerful life force that connects you to the Divine. Often God and the angels answer your prayers and offer you guidance through your physical and emotional feelings. If you say, “Oh, it’s just a feeling,” you’re ignoring vital Divine assistance. This card reminds you to really listen-to your feelings. It’s important not to ignore your inner self because it’s doing its best to give you guidance. Your inner self knows best and your feelings are first to get your attention. Your feelings will constantly try to get your attention and when they feel they have failed then those feelings will start to manifest physical ailments like headaches, heartburn, aches and pains etc. I pray you have a fantastic day and are able to connect with your inner self. I love you all!